I urge each one of you to become brand ambassadors of this message to eradicate shame and silence around periods. You are here to bring about change in the nation. 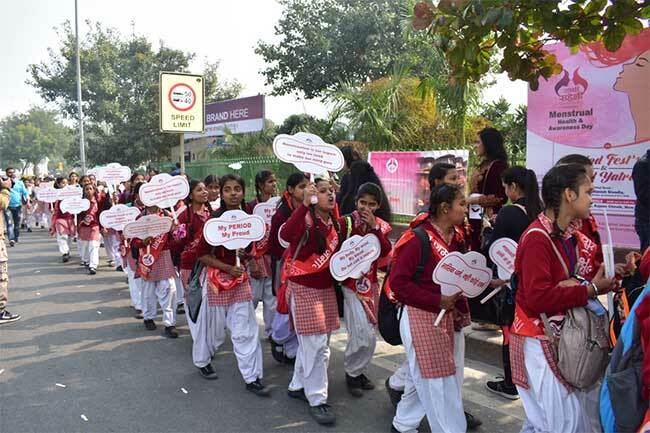 The fest and the march were organised by a Delhi-based NGO (Non-Government Organisation) called Sachhi Saheli, which is working to end the stigma around menstruation. 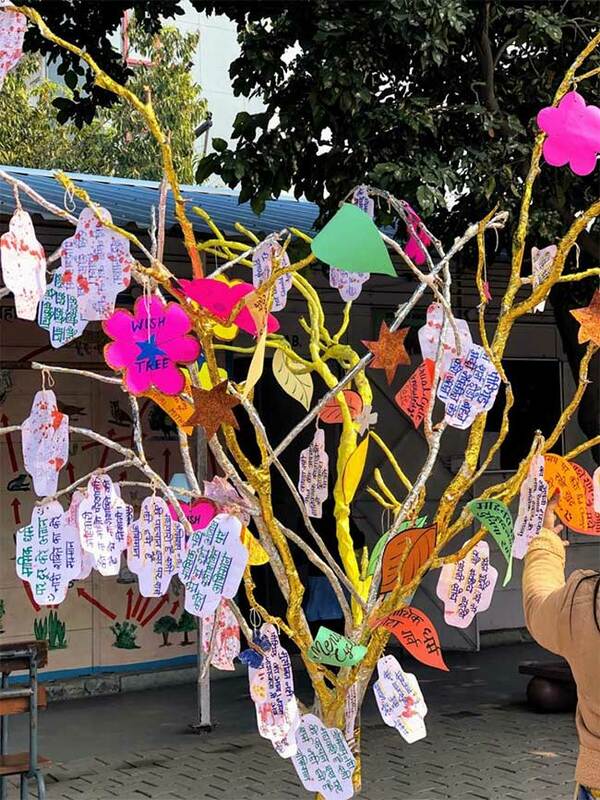 The aim of the fest was to provide the participants an understanding about women’s health, ways to manage periods, and sexual and reproductive health. 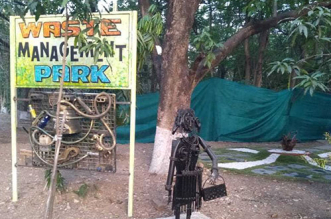 For this, various activities were held in the fest including games, plays, mime, rangoli competitions, live paintings, Q and A, and discussions. We aim to break taboos through this fest and make periods positive for young girls. We ought to bring change in the mindset of young boys too. We need to educate our upcoming generation about the natural process which is deemed as bad in many households. Menstruation is a reality for almost half the population of the world and yet it is kept as a secret. We want that the girls should proud of their periods and never use ‘code words’ for their periods. Period was made a taboo in the past when our ancestors did not have the period management methods like pads, tampons, menstrual cups and cloths. They did not even wear stitched clothes and used to tie their clothes around their bodies. Because there were no stitched garments to hold a pad/cloth, there were no pads/ clothes to manage the period blood. Thus the blood used to drip on the floor which after getting in touch with air caused bacteria to grow and spread infections. 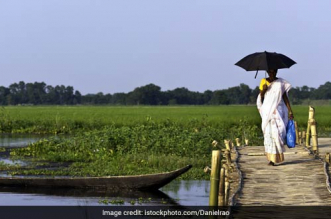 When the women used to go for a bath at common places due to lack of individual toilets, the stagnant water of that pond used to get contaminated making people bathing in it fall sick. These infections and sickness made people think that a woman during her period is a bad omen and isolated her during menstruation. What seemed to be helpful then is very foolish now. People need to leave these practices of discriminating against women in their periods and move on. Girls should talk about it openly about their periods and the family members should feel shy discussing menstruation. It is important to normalise menstruation for young girls in their homes and among their peers. The young girls were introduced with menstrual cups and were encouraged to ditch the sanitary pads as not only the cups are comfortable, they also help in eliminating the waste generated by the pads. Representatives from NGOs working on menstrual health and hygiene conducted various interactive activities for the youth and the women to impart important information on adolescent and sexual health. Apart from the knowledge imparting discussions and lectures, there were fun games themed on menstruation and painters painted live for the participants. 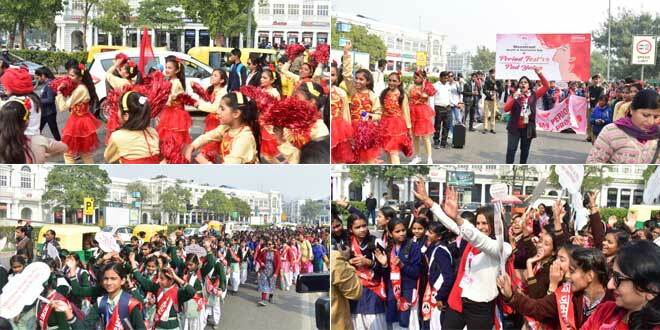 The students of Delhi Government Schools, NDMC Schools, and private schools gave cultural performances. 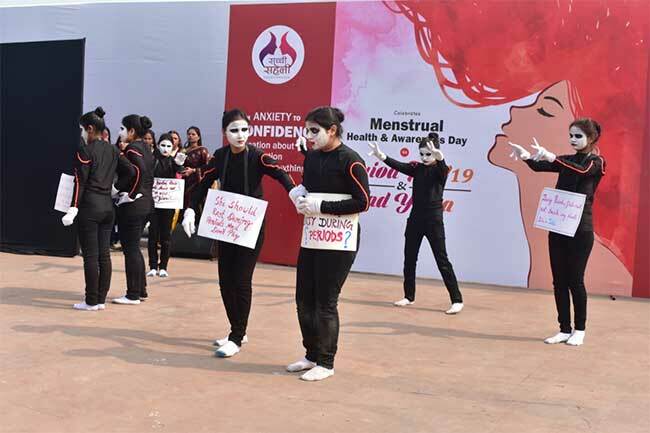 The Asmita Theater Group performed a thought-provoking street play titled ‘Vo Din’ for the audience to show the routine and experience of women during the days when she is on her periods.